Mission accomplished as ISRO's rocket soared stuffed with 20 satellites. Indian Space Research Organisation (ISRO) on Wednesday launched a total of 20 satellites in a single rocket, including two student satellites from Indian universities and 17 satellites of four foreign countries. 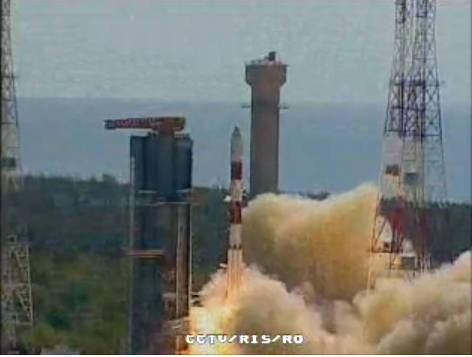 The launch had been delayed several times, but accomplished its goal today. The space agency's PSLV C-34 rocket lifted off at 9.25 a.m. from the Second Launch Pad in Satish Dhawan Space Centre and some 16 minutes later placed Cartosat-2 Series satellite about 505 km above the Earth's orbit. Within the next 10 minutes, the remaining 19 satellites were eventually placed in the intended orbits. Soon after the launch, ISRO chairman A.S. Kiran Kumar said, "With this mission, we have launched the current generation Earth observation satellite along with 17 satellites from foreign countries." Satish Dhawan Space Centre Director P. Kunhikrishnan said that it was a "major milestone" for ISRO to launch 20 satellites in a single mission. Prime Minister Narendra Modi congratulated the space agency, describing the launch as an “monumental” accomplishment. “20 satellites in a go! @isro continues to break new barriers. Hearty congratulations to our scientists on the monumental accomplishment’, he said on Twitter. The 725.5 kg-weighing Cartosat-2 series satellite would be used for Earth observation. According to ISRO, the imagery sent by the satellite will be useful for cartographic applications, urban and rural applications, coastal land use and regulation, utility management like road networking. In 2008 ISRO launched 10 satellites in a single rocket. On April 28, 2008, its PSLV-C9 rocket launched a Remote Sensing satellite CARTOSAT-2A along with Indian Mini Satellite (IMS-1) and eight nanosatellites.